What exactly is “Reclaimed” Irrigation Water? Quite simply, reclaimed irrigation water is wastewater that has undergone an extensive treatment process – as established by stringent Florida Department of Environmental Protection standards – in preparation for a new, beneficial use. Reuse helps to conserve potable water supplies since reclaimed water is used in place of potable water for certain purposes. In addition, many reuse activities can help recharge ground water supplies. To protect the quality of valuable surface waters, wastewater treatment facilities have become more advanced and sophisticated and much more expensive to build and to operate. With such limited opportunities to discharge treated wastewater, more and more communities are turning to reuse of reclaimed water as a way to manage their wastewater. Reuse can help the state meet the water supply and wastewater management needs of its growing population. Recognizing this, Florida promotes reuse of reclaimed water and water conservation as major state objectives. Reclaimed water is limited in supply, but by using it when available, we can conserve precious drinking water. RCS’s reclaimed is purchased from Bonita Springs Utilities. It is intended strictly for irrigation, and should not be used for drinking; to fill swimming pools, hot tubs and wading pools; and watering fruits and vegetables with edible skin. 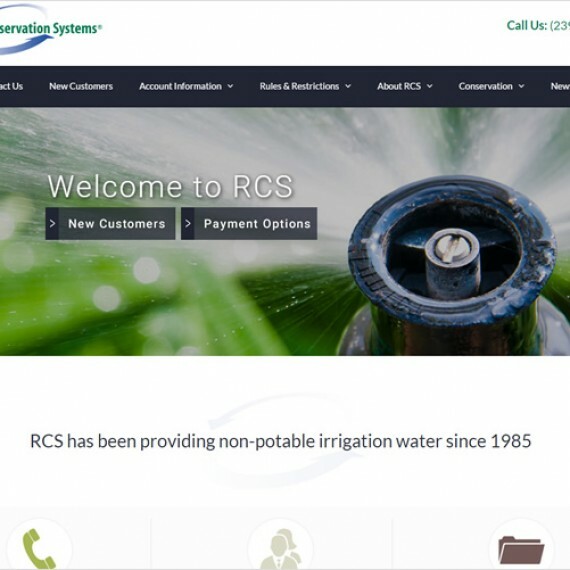 You should also know that RCS does not allow hose connections on the irrigation system. Reclaimed water should NOT be used for drinking. Reclaimed water should NOT be used for filling swimming pools, hot tubs, wading pools, etc. Reclaimed water should NOT be used for recreational activities such as squirt guns, water slides, etc.